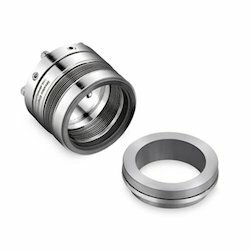 We are offering Metal Bellow Seals to our client. This Seal is Inherently balanced metal bellow seal. 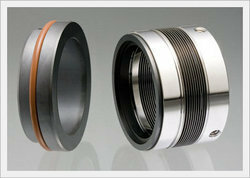 These seals are ideal for high temperature application. The welded metal bellow provide face load under any operating conditions. Since we have established our base in this highly competitive industry, we are readily engrossed in the arena of presenting FEP O Ring. Generally used for handling highly corrosive chemicals, high temperature applications, petroleum refinery etc. - Oil, light hydrocarbon, aromatic hydrocarbon, Organic solvents, weak acids, alkali, Ammonia, Thermic fluid Pilmp, etc.